The day is almost at his end. 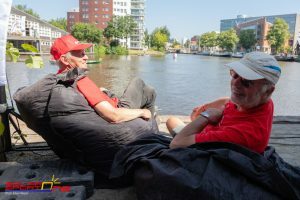 We started the day with a nice start in the morning, all together in convoi to Solar Village from the slipway. 52 km was a long route, so the teams had to play with the elements. Even the sun was out the whole day, it’s important to calculate how fast you can go with the boat. 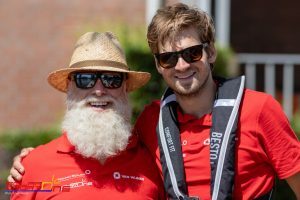 In the afternoon we got the message that Bouke Froentjes from NK Zonneboot Race in Akkrum passed away in an accident on the 28th of June. Our condoleances for the family and friends. 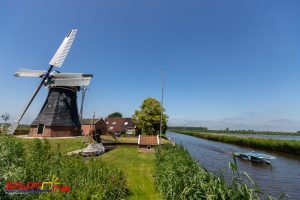 It was for some teams a long 52 km route. Unfortunately not every team was able to start or finish the race. 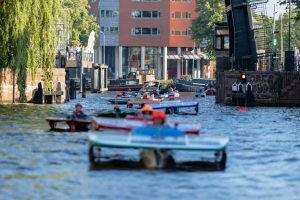 In the V20 class Team Koninklijke Marine wasn’t able to finish the whole course. 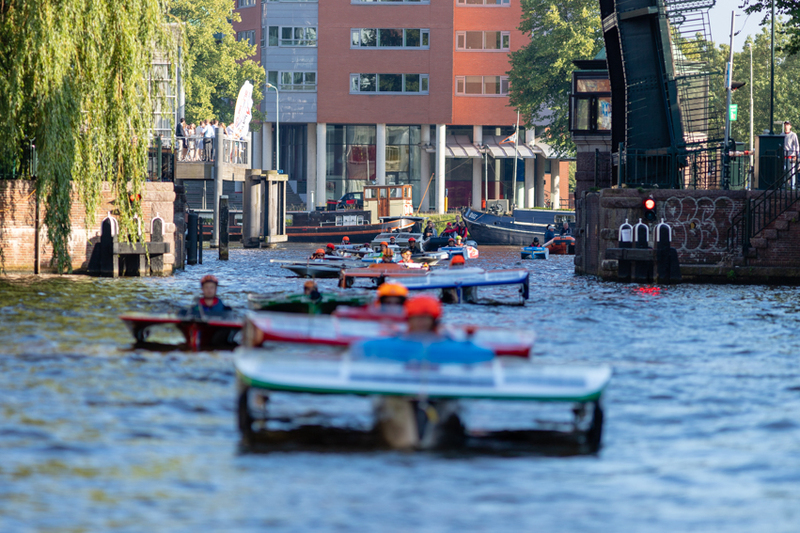 In the A-class several boats didn’t even start, VHL-Nordwin Zonnebootteam were trying untill the very end to get their boat going but not within the starting time. 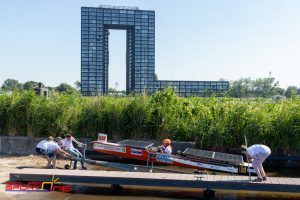 TU Delft Solar Boat Team was the only boat in their class on Friday. 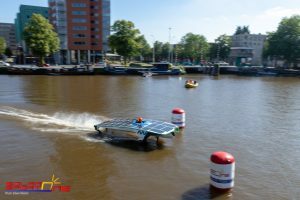 It was an interesting race for them today, they are looking forward to have some competition on Saturday from team CLAFIS Victron Energy Solar Boat Team. That went fast, the teams had a track of 200 meter to find out what their top speed was. Joris Melkert had the gun in his hands to track the speed. Karsten van Zeijl gave the teams two chances and one of them was the one that got printed on the Speed Record Certificate. Team New Nexus from the V20 class hit the speed limit of 35 km/h. 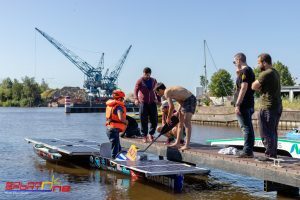 With 30 solar boats through the canals of Groningen was a nice way to show the people what is going on this weekend in the canals. Also 8 teams of Young Solar Challenge joined the parade. Tomorrow they will compete together with the other classes in a endurance race.